Rental Assistance (Property Management Services) a division formed by TK Housing & Constructions specially to cater the needs and to serve NRIs and people staying outside Chennai but has invested here. We take care of your properties in your absence. Our rental service is of great advantage for Non-Resident Indians and to people who stay away from their property who need their property to be rented out. One Month brokerage will be charged, if the deal gets finalized by us in the time period of the service being provided. But if the client is yours we will not charge any brokerage, but just act as your representative and attend the clients with complete dedication by providing them complete information about your property and will give update details of the conversation to you. Client representing is the most priority service we provide. 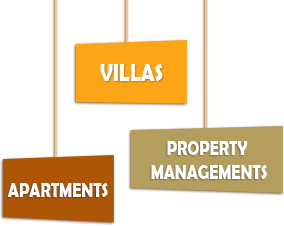 Tenant Management is another division of TK HOUSING & CONSTRUCTIONS which cater the need to management rentals, tenant, and other maintenance related to the property. NRI and other people staying away from their property can be benefitted by this service. To understand the terms and conditions of your lease contract (if already existing), we would require a copy of the rental agreement with your tenant. A periodic property inspection shall be conducted by TK Housing & Constructions team to check the condition of the property. Such inspection would include both the interiors and exteriors of the property. Charges will be 10% of the annual rental value of the property. Regular Monitoring of Plots by TK Housing & Constructions - Many stories are told of lands that have been grabbed when the real owners are away or settled abroad for a long time to take care of the property. It is not worth owning properties without constant monitoring. Here we are, to combat this menace in a very transparent, genuine and safe way to take care of your property with vigilance and up to date reporting. Rajam Property Management offers consistent and customized plot monitoring services, and the best level of personalized service with every visit. NRIs can request for this service to take care of their property or assist their elderly parents or busy family. 1. Regular Monitoring of plots to ensure that the plot is free from encroachment. 2. Regular reporting on the status on the cleanliness of the plots. 3. Digital pictures and reports of the plots will be sent. 4. Bases on client’s requirement no. of visits / year can be scheduled. 5. We will update on the status of the plot and warn if we see or anticipate any attempts to encroach. 6. Show property to the plots to your relatives who don’t even know where it is. A notice board can be optionally displayed to warn trespassers at extra cost. We will inspect your Property at commencement of contract, take pictures and make an inventory checklist of all the items available in the property (like furniture, fixtures, etc.). We will draft and finalize rental / lease agreement in liaison with the owner and the tenant. (if needed). In the event that you cannot be present, we will provide the necessary paperwork for a limited/ specific power of attorney so that we, or a representative of your choosing, can sign on your behalf. In such cases, Power of attorney adjudication charges apply for NRIs and any lawyer fees will be billed extra. At the time of the signing of the lease, we will explain the limitations, restrictions and responsibilities of both parties. Our Executive will co-ordinate with your tenant, inspect the property and send you a report. Four (4) inspections in a year at periodic intervals or on a need basis are included in the package. However, a schedule for the visits will be drawn in advance and informed at the time of commencement of service. Extra visits required will be charged. At the beginning of the month, we will collect the rent cheque and deposit it in your bank account based on your instructions. Depending on the terms of the rental agreement, we can handle your utility bill payments for you. During vacant period, assistance will be provided to make payment of Electricity bill, Maintenance bill and water bill. At the time of moving in and vacating, we will do a thorough check of inventory to make sure that your property has been protected. ** All Government and miscellaneous Fees will be Billed Extra.